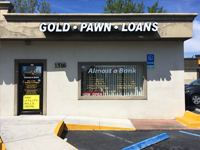 Does my financial situation call for a pawn loan? This is a question we hear a lot of--one you may have asked yourself from time to time! However, when it comes to Auto Pawn, we can (and do) help with it all--financial needs big, small, and somewhere in between. In today's blog, we're sharing a few questions that can help you decide whether a loan is right for you. Can I use the extra cash? The first and most important question you should ask yourself is, of course, this one: can I used the extra cash? If the answer is "yes," that's typically more than enough reason to consider a loan. Your needs may be relatively big--like medical bills or car payments--or simpler, like having some added money in your checking account for everyday expenses. Is this a short-term need? While a long-term shortage of cash may point you in the direction of big solutions (changing careers, selling your home, etc.) 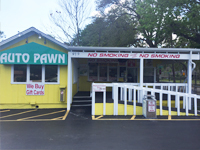 pawn loans make for the perfect short-term fix. They can help you when need it the most, but can be easily paid back so that you can get back to your everyday routine. As is the case with any financial decision, it's always wise to weigh your options. For many in need of an influx of cash, the options may be limited to asking for help from a friend or family member, or selling something you would rather hold onto. Why complicate things, or make a permanent sale for a temporary need? A pawn loan can help you ensure that your precious items (your dream car or custom-enhanced motorcycle) are returned to you when the loan is over. 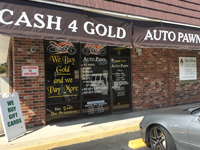 At Auto Pawn, we believe in a stress-free loan process for every kind of financial situation. Whether you have a big payment coming up, or simply need some added money in your checking account, we're here to offer you car loans or boat loans--and, we're always happy to help!